Why Do You Need Mobile Payments? Think of how people navigate cities now. They don’t need to use paper maps anymore because they have them in their smart devices. It is the same with payments – we don’t really need our wallets any more. According to Cisco® VNI Global Mobile Data Traffic Forecast 2015-2020, by 2020 there will be 5,5 billion global mobile users, up from 4,8 billion in 2015. So it means that mobile users are growing faster than the global population (in 2015 the world population reached 7,3 billion and it is expected to reach 8 billion in 2024)! Basically, mobile commerce continues to grow. So if you run an online business and process payments, don’t wait too long to implement the payment method which allows your customers to pay with smart devices. Well-designed mobile checkout is a must when it comes to getting mobile customers. The more complicated a payment form is (with too many fields and needless information), the more difficult it is for the user to pay. Making payments with a smartphone can be fun, and our solution gives you many ways to customize your payment gateway the way you like. It allows you to offer your customers a checkout on your mobile site not as a pop-up, but in a mobile-optimized form. It’s displayed on a full screen, so it’s convenient for customers to use. Right after payment, the user is moved back to the site. Open this example in your mobile browser and see how it works. You can easily integrate it with our libraries. Find out what you can do to give your customers a user-friendly checkout. Nowadays people are always in a hurry, so it’s obvious they don’t want to waste their time filling in a long payment form. You can give them a single click payment experience, which is connected with a “remember me” option. The customer’s data is remembered, so his/her next purchases can be finished with just one click, without typing in credit card details. The checkout process is fast and easy – just as the mobile payments should be. You can display more offers for your customers right after they complete their payment and it can increase your sales potential. You will have full control over what to display, and your customers can buy more things with just one click. It’s easier to close the deal when you drop all needless steps and focus on highlighting the most relevant products for each customer on your mobile website. Your customers can pay the way they like, without any distractions or redirections to other sites. The variety of phone and tablet models give online businesses more and more options for displaying their offers on smart devices, which also leads to more transactions. For instance, it gives sellers an opportunity to provide a better checkout design with bigger input fields. What’s even better is that you can customize the payment form to fit in to your mobile site. The checkout page on mobile should be as simple as possible, without menu links, search bar or social media links that can drive users away. Also, mobile users love large text on the screen to clearly see everything without zooming in. Just make a design for touch. Typing on mobile is usually slower than on desktops where it is carried out via keyboards, and thumbs aren’t as precise as mice. You can only ask for essential information and provide auto-fill or auto-complete wherever possible to allow users to pay in a convenient way. For this reason, you should optimize input for touch keyboards in order to avoid validation errors. It can be, for example, disabled auto-correction (so there will be fewer mistakes with addresses) or not using validation for fields such as name, phone, or credit card number. You should also use the right keyboard to match the input type. For instance, show the numeric keyboard for credit card or phone number. Read more about mobile checkout usability. Above all, mobile payments are one of the most convenient and quickest ways of paying online as well as in-store. 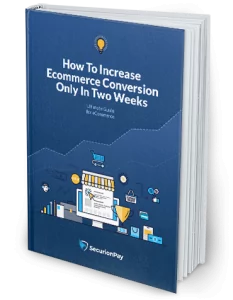 It also increases your opportunity of improving sales, gaining new customers and building consumer loyalty, which comes with higher conversion. Improve mobile payment UX by reducing the fields and condense the entire process into one page. It’s important for retailers to create user-friendly checkout processes that improve the customer’s trust and makes them more willing to buy on mobile devices. Nowadays consumers have lots of options for making payments using mobile devices. Even still, credit and debit cards are the most preferred mobile payment methods (according to Kount’s report). 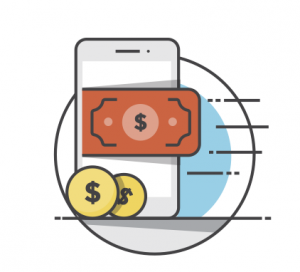 One of the biggest obstacles for online businesses that want to sell on mobile is focusing on customer’s security and addressing how to manage fraud risk. When you choose SecurionPay, you don’t need to worry about your customer’s data security. All transactions are secured thanks to token technology (which merchants today are most likely to consider as the most attractive authentication method), and there is also an additional security layer. Transactions are authenticated with the customer’s bank so your customer’s data doesn’t even touch your servers, so you can rest assured. Need more? Every payment is scored and actively checked against fraud, so it decreases the number of chargebacks. Token technology makes payments extra secure. Tokens are used as temporary representation of card data and you can create them in your mobile app. 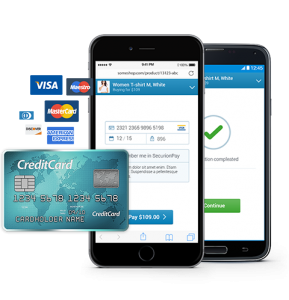 It allows you to ask customers for their card details without processing or storing card sensitive data on your servers. In short, when a customer inputs their credit card details, a token is created in our API and card details are sent to our token server. Then the token is sent to your backend and you can do other operations with our dedicated SDK. You can securely process the payments, even without PCI compliance – leave it to us. Read more about tokens in our documentation. Most of the largest merchants consider mobile as an important part of their growth and success. Keep in mind that mobile is becoming an integral part of the shopping experience. Give your customers the choice and let them pay for your product or service on any devices they want. Events and webhooks: Everything you need to know How You Can Use Recurring Payments On Your Website? [SlideShare] Why Card Security Code Matters In Online Shopping?